Architect: Sam Marshall | Sydney House. Sam is an award winning Australian architect with 30 years experience, a strong eye for clean lines and raw materials, a love for colour where you’d least expect and is an all-round easy person to get along with…all qualities that I think are essential for a good architect and project, small or large. Sam’s body of work includes the Museum of Contemporary Art Sydney [See Photo Gallery], Winning Post Production Facility, Object Gallery, Dinosaur Designs retail stores and numerous residential projects over the years. He is also the author of Luna Park: Just For Fun, and was instrumental in ensuring Luna Park Sydney survived for generations to come. What we love about Sam’s work is his application of concrete, wood and glass in a way that can reflect a certain austerity in one setting, or luxury in another. On a larger scale, his project for the Museum of Contemporary Art Sydney has transformed a historic site and given Sydney, and its visitors, vistas of the harbour which are unparalleled and can be enjoyed from almost every point in the gallery. The walking and street level entry has given a new presence to a once difficult and under-utilised area. Every summer people flock to the area, enjoying music, public art and displays. 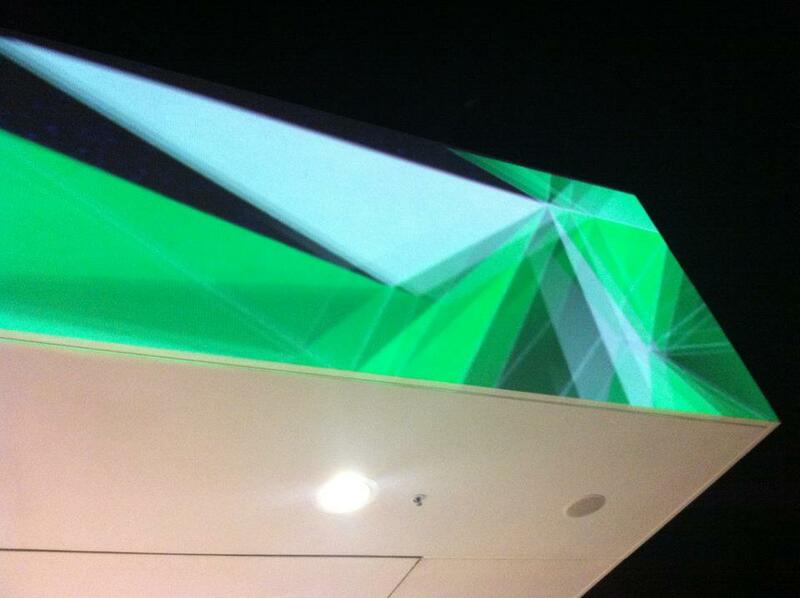 Every winter the Sydney Vivid Festival uses the MCA as one of its focal points. Like all large scale public work, such a project has been controversial. So many architects want to compete with the Opera House. But to me, that would never possible, and would be a somewhat futile exercise in holding one-self up to comparison which will invariably be brutal. For my 2 cents – the new MCA has totally delivered in the context of a small site, an important setting and a constrained budget. 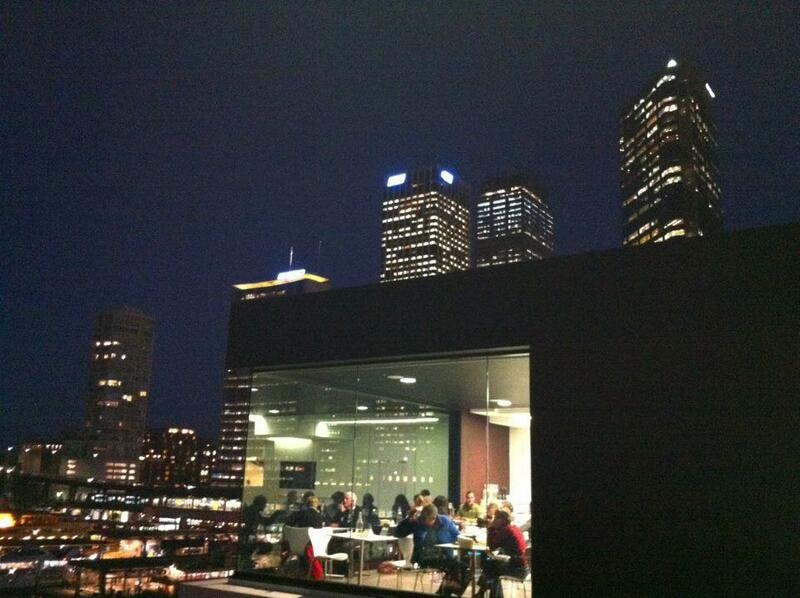 On top of that, we love spending time there and the roof top cafe/bar is second-to-none for views! Stay tuned for more pages about architects! Some of my photos from the MCA, including light displays on the building during VIVID Sydney, and the great view out from the cafe/restaurant with floor-to-ceiling glass. 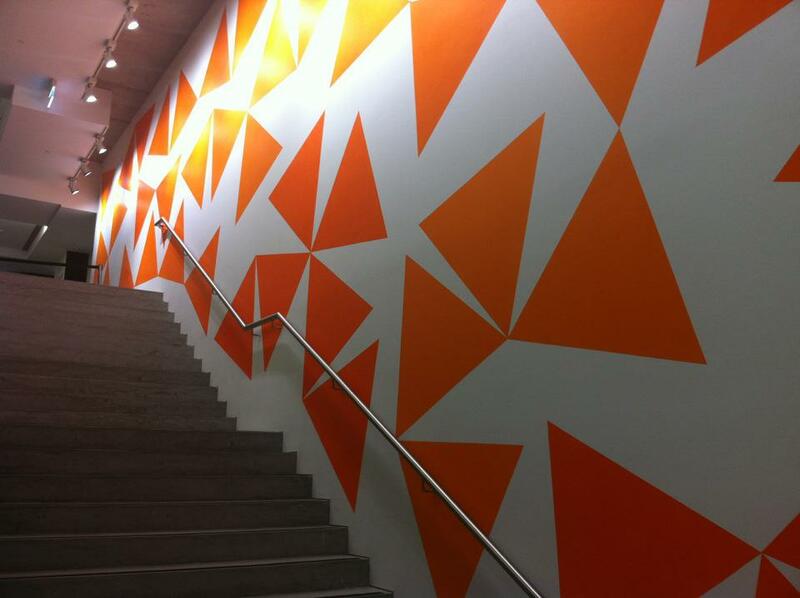 Tango, 2012, by Helen Eager is shown in the foyer and is a changing wall.